– In the film Reservoir Dogs, Michael Madsen’s character, Mr. Blonde slices off the ear (off-camera) of kidnapped LAPD Officer Marvin Nash in one of the film’s most memorable scenes. – In an episode from The Simpsons, Homer Simpson is forced to live in house that only allowed the use of items from the 1800s. This forced him to shave with a straight razor, resulting in a bloody mess. – Stories circulate as to how gangster Al Capone got his nickname Scarface: attributing it to an irate barber, who allegedly cut him with a straight razor. Also called open razors or cut-throat razors (quite the comforting name), straight razors require a considerable level of skill to maintain and master. However, contrary to popular fears, there is very little risk of seriously injuring yourself while shaving if you exercises proper method. Although you barely see them anywhere now, straight razors were the most common form of shaving before the 1900s. Back then, Barbers were specially trained to give customers a thorough shave with a collection at hand. So the question remains, why bring back an ancient tool? 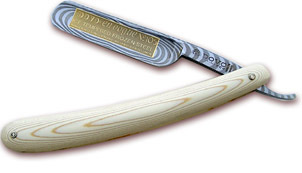 For many straight razor shavers, it’s a nostalgic hobby or a masculine ritual. For some, it’s the economic benefits from not having to buy disposable blades. 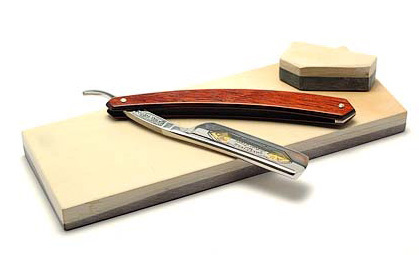 But many claim that the straight razor provides the closest thing to the elusive “perfect shave.” Shaving with a straight razor covers much more area per stroke due to the fact that the cutting edge of a straight razor is much longer than other types of razors. Then there’s the simple cool factor of using an incredibly well-crafted knife to cut the hair that you used to grind out with a stick of some plastic contraption. You can learn more about the different types of hones here. 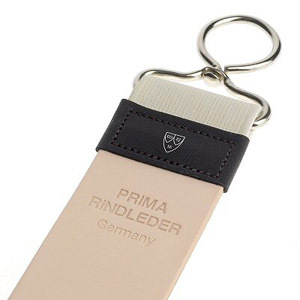 The next equipment you’ll need is the strop. Whereas honing re-establishes the fine edge of the razor by removing metal from the razor, stropping aligns and straightens the edge. If you’re a newbie, moving up from a safety razor to a straight razor can be a scary jump. James Whittall of MensEssentials recommends starting with “safety zones” by isolating your use of a straight razor to just your sideburns, shaving the rest of your face with your normal safety razor, and expanding to more parts of your face as you get more comfortable. A good razor can cost anywhere from $30 to several hundred. For those just starting out, consider a solid entry blade such as the “Dovo Stainless Shavette” which is both economical and effective. If you’re interested in trying it out, it’s highly recommended to pair it with a quality shaving cream/soap. You can find my recommendation in our last shaving article. Caveat: This is just a introduction to straight razors. 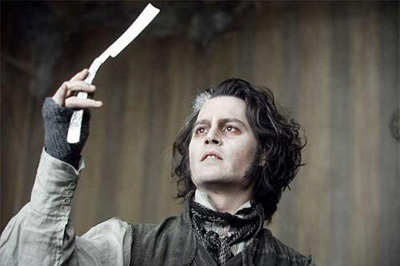 Straight razors can cause cuts, and even serious injuries, so I highly advise you do your research before you dive into the world of Sweeney Todd and “friends.” Here’s a great resource if you’re interested in learning more about the straight razor.